Amelia and Mae Events is a company started by two sisters with a passion for taking simple events and transforming them into extraordinary occasions. After ten years in education, we decided to capitalize on our combined talents - organization, creativity, and planning - and launched a family owned and operated events company. Based in Northern New Jersey, Amelia and Mae Events provides personalized service with a commitment to make your vision become a reality. We believe in fostering great relationships with our brides, grooms and vendors. Our small, close-knit team allows us to respond to your needs throughout all stages of the planning process. Whether your event is large, or a more intimate gathering, we give you the opportunity to enjoy every little moment with your friends and family. 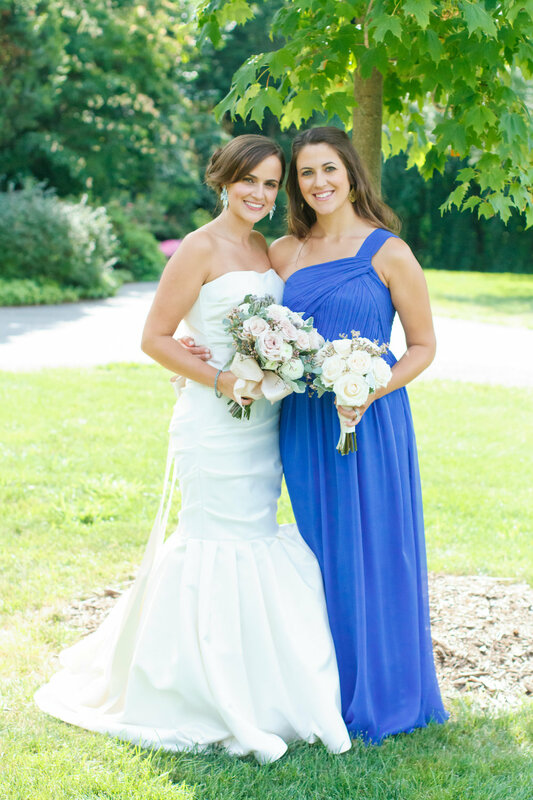 We look forward to sharing our expertise with brides and grooms throughout the tri-state area. They were always helpful and calm and took so much responsibility off my shoulders that I didn’t feel stressed throughout the planning process at all. They made my year and a half engagement so stress-free. I had trouble picking certain themes and ideas and they helped me achieve my vision, and then they exceeded it! I am so thankful that I listened to others and worked with Amelia and Mae Events. Everyone always says the week before your wedding you are so stressed out. I wasn’t at all because Allie and Julie had everything taken care of. They put together my favors, invitations, ceremony programs, signs and decorations for my reception, contacted and confirmed with all of my vendors, and made detailed time lines. Any time I had a question they answered me so quickly. It was comforting to talk to them and get their advice. The day of the wedding I found myself the most thankful for them.